Received the good news that BDK is posting even more free translations. If you poke around the site you will find other free high quality texts. Excellent resource! BDK America is sharing 22 selected publications in the BDK English Tripiṭaka series as free PDFs. With the encouragement and support of Bukkyō Dendō Kyōkai in Japan, BDK America resumes hosting downloadable digital versions (PDF) of published volumes of the BDK English Tripiṭaka Series. We call these files dBET PDFs, with dBET standing for digital BDK English Tripiṭaka. If I had to pick one Mahayana text that covers every aspect of doctrine, path & results, I would suggest this one - in Sanskrit titled Mahayanasutralamkara. There are two excellent English translations, with commentaries. It is a large book with the commentaries, but those comments are needed to clarify many verses. One came out in 2014 done by the Dharmachakra translation group and the other from the Padmakara translators just came out late in 2018. The root text was taught to Asanga (a bodhisattva of the 5th century) by Maitreya a 10th stage bodhisattva, who will become in the distant future our next Buddha. Ornament of the Great Vehicle Sutras is the title of the Dharmachakra version. The Padmakara version is called A Feast of the Nectar of the Supreme Vehicle. Both are in epub versions also. In an age when science claims to have an answer for everything and is even attempting to prove the validity of Buddhist meditation, while many people’s ideas about different religions and spiritual paths reduce these to simplistic and misleading stereotypes, it is hard to comprehend the true breadth and profundity of the Buddha’s teachings. During his lifetime, Buddha Śākyamuni taught on countless occasions, on many different levels, and to different individuals, in order to help each particular person understand something that would bring him or her closer to enlightenment. For us to consider the vast scope of these teachings is as mind-blowing and awe-inspiring as gazing into the immensity of space. In the Sūtrālaṃkāra, the Buddha’s regent, Maitreya, brings this vast array of teachings together, arranging them in an orderly fashion and putting them into perspective so that we can begin to understand them and use them as a path to enlightenment. Of the three principal aspects of the path—view, meditation, and conduct—this text, like Shantideva’s The Way of the Bodhisattva (Bodhicaryāvatāra), deals mainly with the view and conduct of the great bodhisattvas, whose sole aim is the enlightenment of all beings. Once we have an inkling of the extraordinary kindness and wisdom of these bodhisattvas, whom we can meet even today as our teachers, we can begin to infer that the incredible qualities and deeds that Maitreya describes are possible. I hope that this translation of Maitreya’s presentation, along with Mipham Rinpoche’s clear explanation, will help readers to gain a glimpse of the Buddha’s message in all its vastness, taking them beyond limited conceptions and inspiring them to practice the path it describes. Ornament of the Great Vehicle Sutras is the title of the Dharmachakra version. The Padmakara version is called A Feast of the Nectar of the Supreme Vehicle. Both are in epub versions also. The Bodhisattva Path to Unsurpassed Enlightenment is an extended commentary by Asanga on the major themes of the Mahayansutralamkara. It is a difficult work but worth pondering and valuable for meditation practices. The Bodhisattva Path to Unsurpassed Enlightenment (Bodhisattvabhūmi) deals, as the title suggests, with the stages of the path, the training, and education of a bodhisattva. The text was taught and studied at the great Nalanda University. It not only outlines the practice of meditation and cultivation of the six perfections—generosity, ethics, patience, effort, meditation, and wisdom—but encourages the acquisition of broad knowledge and general education in the pursuit of enlightenment. The focus of that education is the five sciences, which include study of Buddhist and non-Buddhist philosophical views, grammar, logic, medicine, and crafts. The refuge of the followers of the Great Vehicle is superior on account of four particular features: their universality, for they have undertaken to liberate all sentient beings and so on; their commitment (“to attain buddhahood”); their realization of the two kinds of no-self; and the fact that they outshine worldly beings and listeners and solitary realizers. On account of the particularity of these four general points or divisions, anyone who has fully taken refuge in the Three Jewels with the goal or manner of the Supreme Vehicle specifically in mind is to be known as foremost among those who have gone for refuge—superior to those who have taken refuge in mundane beings such as Brahmā and Īśvara and to the listeners and solitary realizers who have taken refuge in the Three Jewels for their own benefit. Why is this? Because it is difficult in the beginning for ordinary beings to be definite in vowing and praying: “In order to free all sentient beings from saṃsāra and set them in liberation and omniscience, I will attain unsurpassable, perfect enlightenment as a buddha.” Of the numerous beings there are, those who make this kind of aspiration related to their spiritual intent are extremely rare. 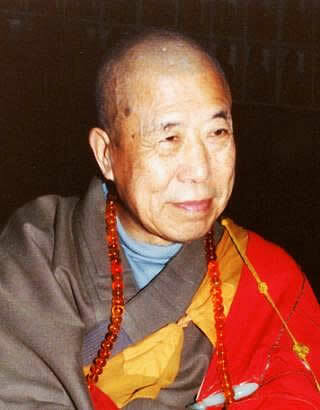 Then, once they have given rise to this spiritual intent, it is difficult to accomplish, for its application involves giving away their bodies, their possessions, and so forth in order to attain unsurpassable enlightenment and completely liberate sentient beings, and it takes many thousands of kalpas. When they accomplish unsurpassable enlightenment as buddhas, they benefit all sentient beings until the end of time, so it is very meaningful. This is why it is of the greatest value to take this Great Vehicle as the path and rely on it as a refuge. Excerpt From: A Feast of the Nectar of the Supreme Vehicle.